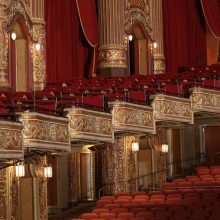 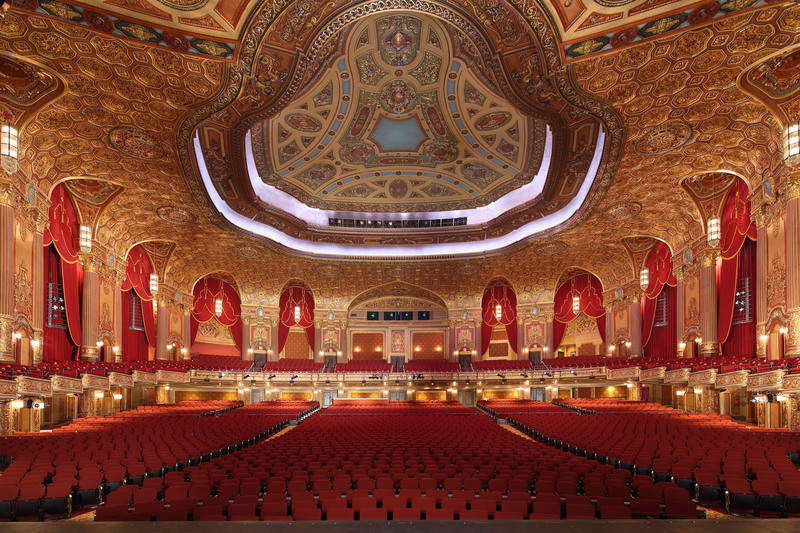 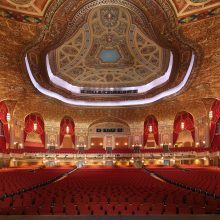 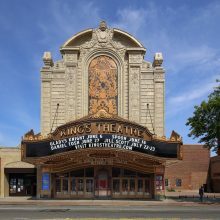 One of the five Loew’s Wonder Theaters in the New York City area in the 1920s and 1930s, Kings Theatre designed in the French Baroque style, with 3,200 seats, it was the largest indoor theater in Brooklyn. 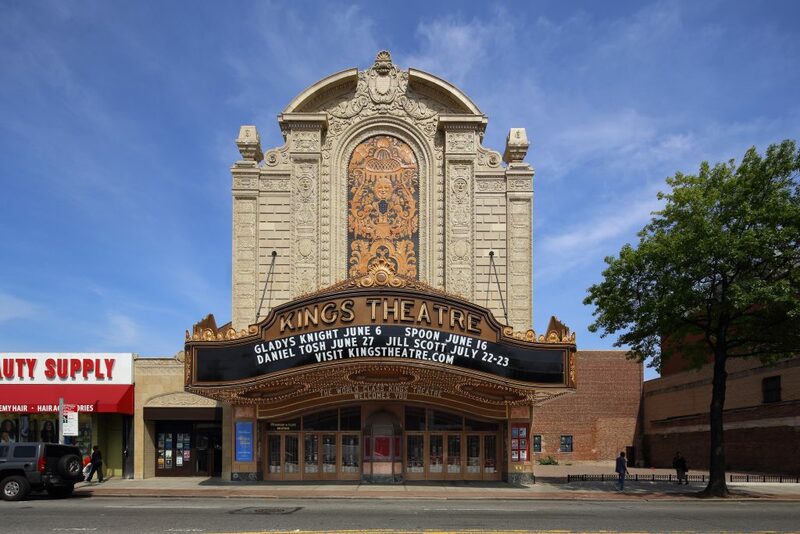 The Kings Theatre had fallen into significant disrepair after being abandoned in 1977 for more than 35 years reopened after a long-awaited restoration in 2015. 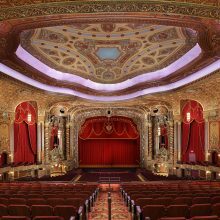 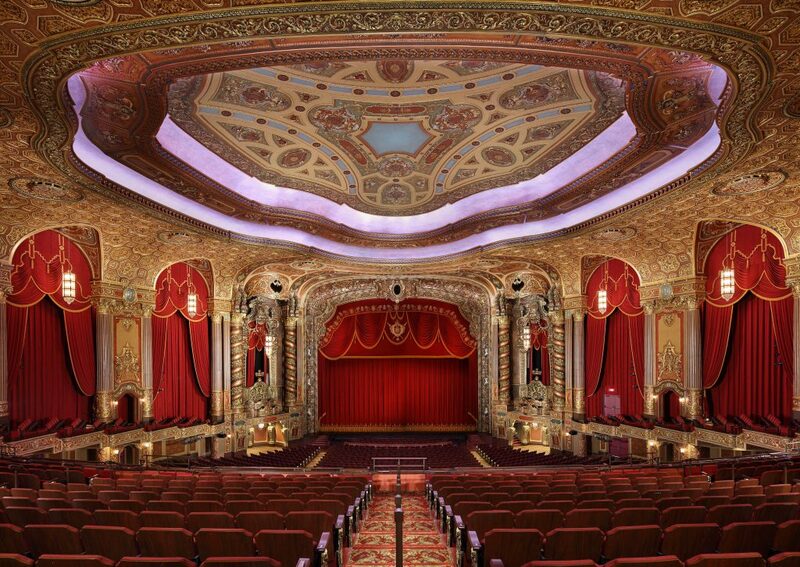 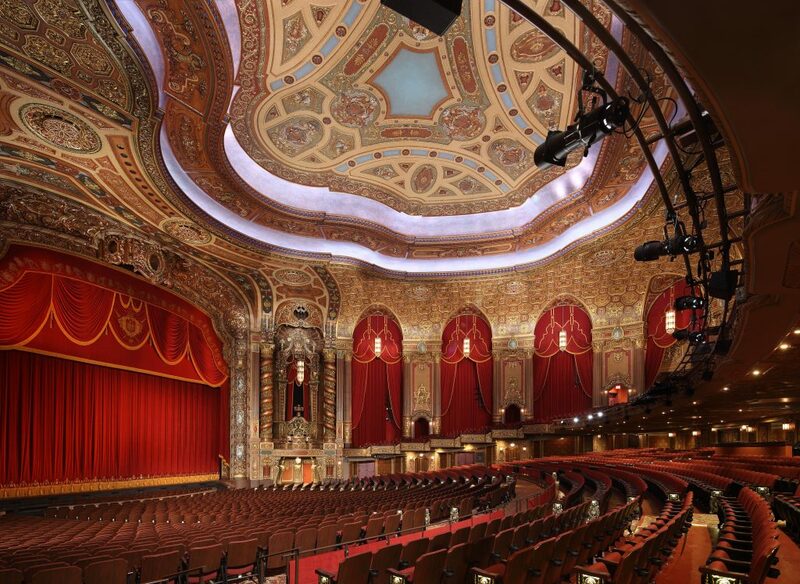 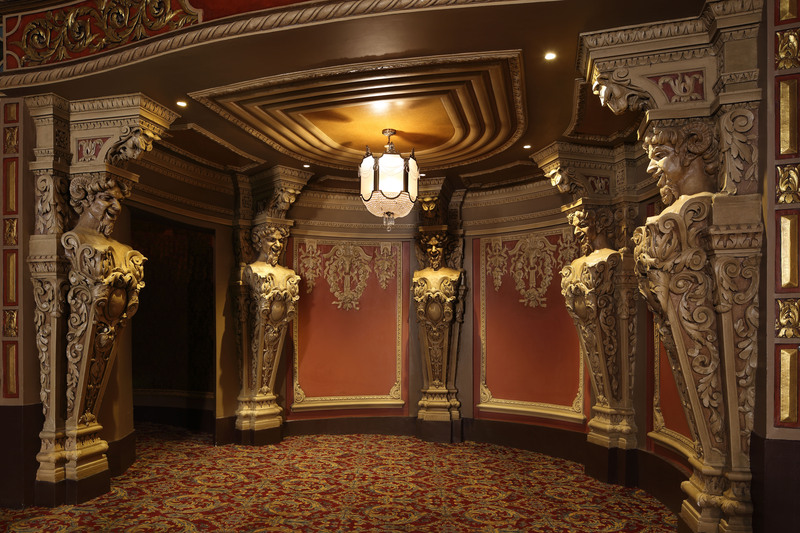 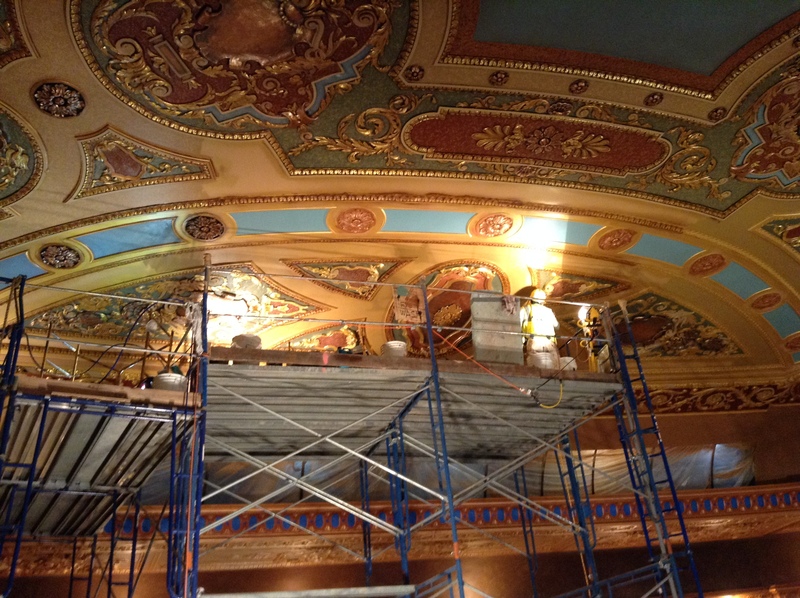 EverGreene restored, conserved, or replaced virtually every finish and surface in Kings Theater. 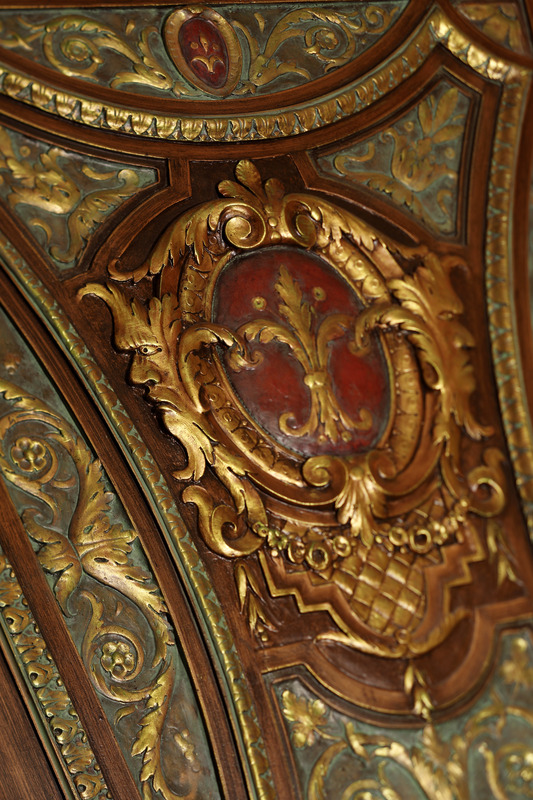 In the lobby, the plaster ceiling was fully restored and decoratively painted, glazed and gilded. 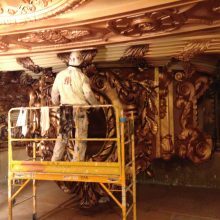 The walls, paneled in American Walnut, were cleaned and renewed as were the metals and composition ornament. 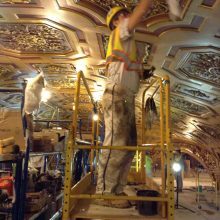 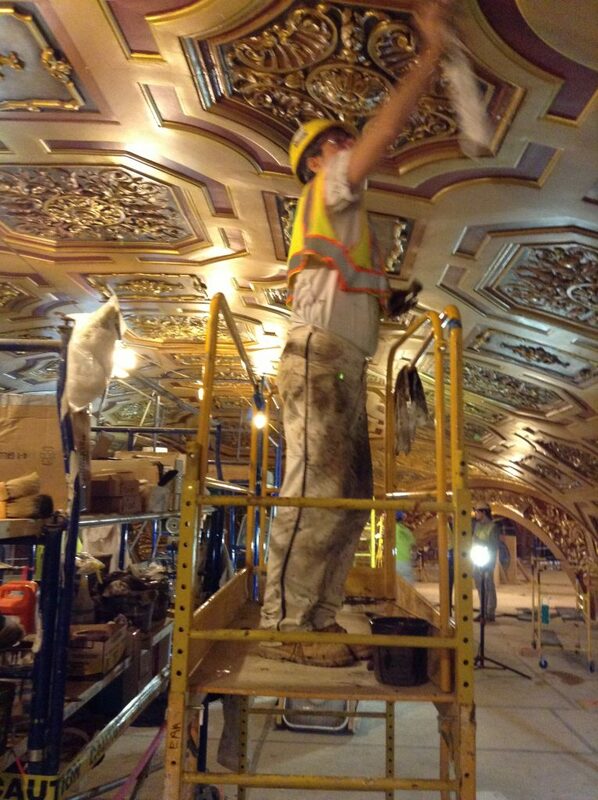 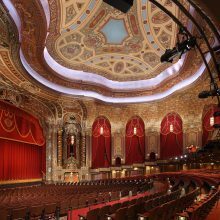 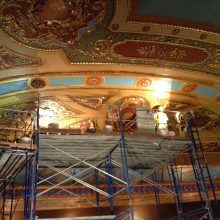 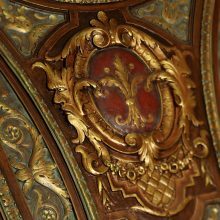 In the auditorium, the ornamental plaster of the 50,000 square foot ceiling, which stands nearly 80 feet above the floor, was restored and polychromed in 18 different colors and glazes. 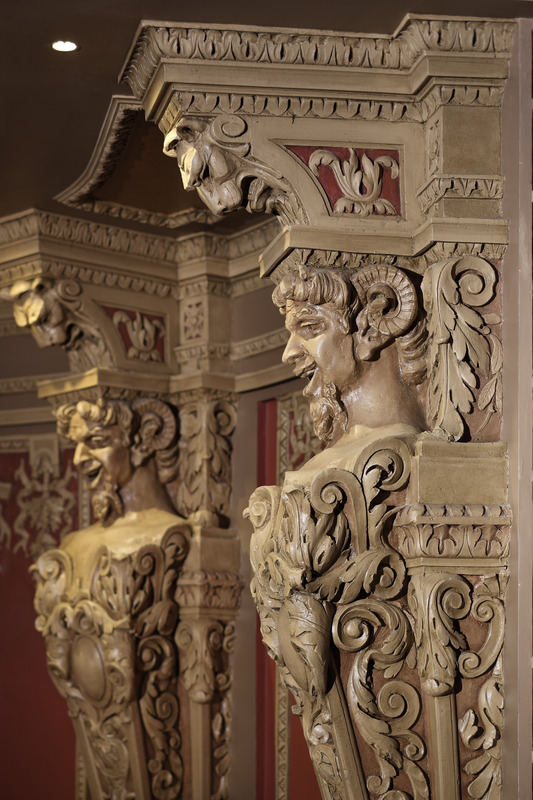 Since significant portions of the plaster had deteriorated due to water damage and neglect, most of the balcony fascia was recast on-site, installed and decoratively painted as were the grottos that flank the stage. 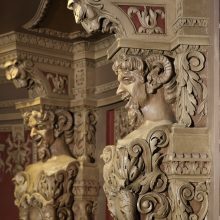 To repair the plaster, silicone casts of extant ornament were made and new portions were then created from those molds. 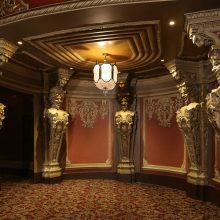 EverGreene also designed, digitally fabricated and installed large areas of wallpaper, based on patterns popular at the time. 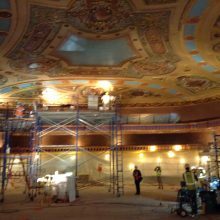 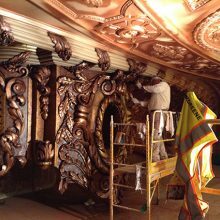 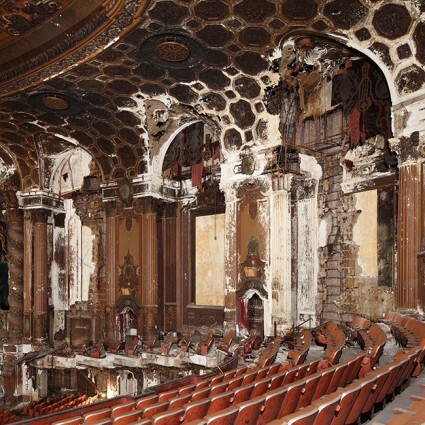 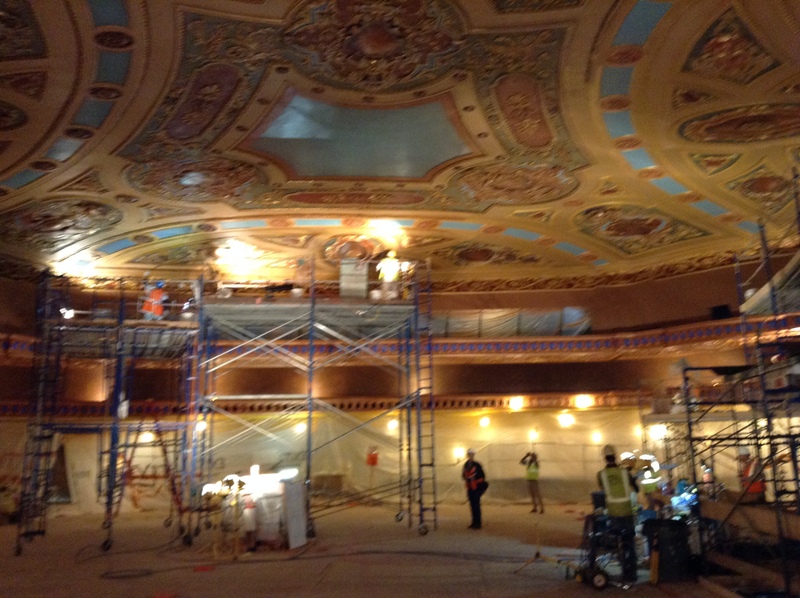 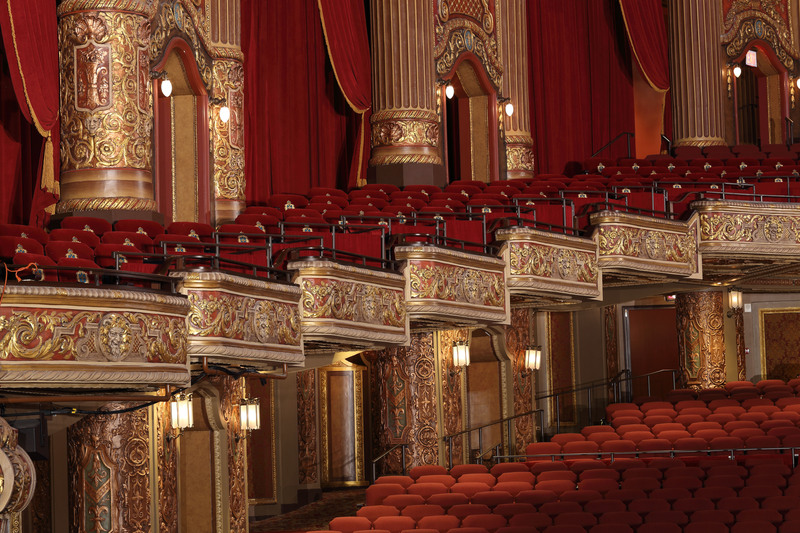 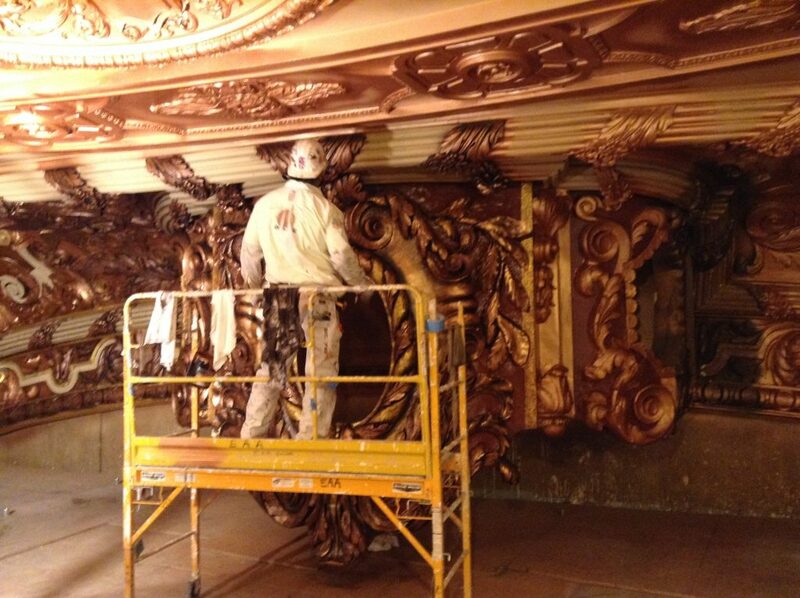 Restoration of Brooklyn's Historic Kings Theatre!